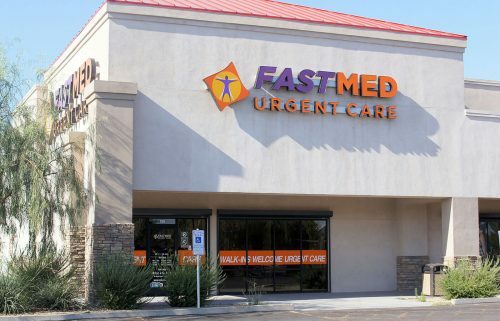 At FastMed Maryvale Parkway, you can check in remotely to save your place in line. Select from the available times and go about your day—we’ll send you a message confirming your time, as well as text reminders if you request them. Once you arrive, your registration will need to be completed prior to being taken to an exam room. Located directly across the street from the Walmart shopping center on 53rd Ave. & Indian School. Next to Panda Express and north of the Milwaukee Brewers Spring Training Ballpark.